Are We Really A “Fundamentally Racist” Nation? If you heard a liberal talk about the United States you might find yourself wondering what country they’re talking about, sometimes what planet. Rather than seeing this country as a beacon of hope and freedom for the world – a “shining city on a hill,” so to speak – they see only a horribly racist country built on the concept of beating down anyone who is not white. But, as is often the case with the liberal worldview, it is something else entirely. If the US really is horribly racist, in fact a fundamentally racist country, you really have to wonder why liberals would support the idea of an open border and encourage anyone from South or Central America to move here. Do they like watching people be oppressed? They must. They do have a storied history of it, and of engaging in it. The truth, however, shows just how far we’ve come from the days of the KKK serving as the enforcement wing of the Democratic Party and Jim Crow laws set up to ensure the party’s stranglehold on power. Democrats are no longer overt, they’ve learned the art of subtlety, engage in lying and manipulation to hold onto power. The results are the same, the tactics are different. Outside of these cities opportunity thrives. Outside of these cities, Democratic Party policies don’t. The streets of San Francisco are littered with used needles and human waste. Not one single Republican had anything to do with the policies responsible for that. Still, these areas and others like them will blindly elect Democrats (there’s a joke about the definition of insanity in there somewhere). So, are we a “fundamentally racist” country? In my book, Outrage, INC., I looked at some of the data. 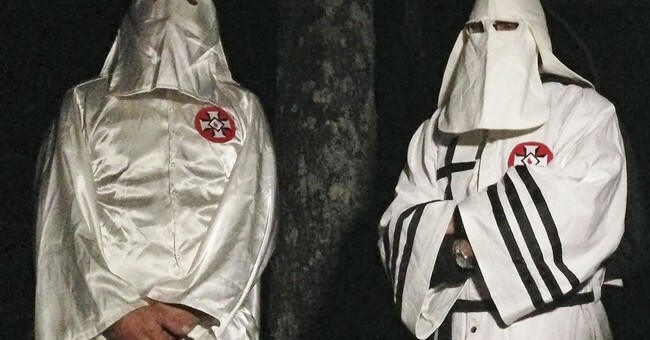 The KKK is the granddaddy of racist organizations in the country. In 1920, when the United States had a population of 106 million, the Klan had 4 million members or almost 4 percent of the country. In 2016, however, when the population reached 330 million, the KKK had an estimated membership of…6,500. From a statistical standpoint that is not even a rounding error. A rounding error would be 100 times that count of degenerate losers. These aren’t my numbers, I got these numbers from none other than the left-wing Southern Poverty Law Center, liberals’ go-to for all things hate. To put that another way, also in 2016 the WNBA celebrated record attendance – they averaged 7,644 attendees per game. That means there were 1,144 more people at any given WNBA game, one of the nation’s least popular professional sports, than there were members of the KKK in the whole country. In 100 years the most widely known racist organization has dwindled to an afterthought. If that isn’t progress, nothing is. But you’d never know it from listening to liberals, they still insist racism is rampant. Of course it still exists, there are 330 million people in the country, with that many people there are always going to be some jerks of every race. But it’s hardly an epidemic. Still, athletes kneel during the national anthem, in part, to protest racism and alleged police shootings of unarmed black people (I go through that data in the book too, and the results are equally as fraudulent) and Democrats paint a picture at odds with reality because it gives them a political advantage. Ask yourself this: If the United States is such a racist country, why is it that Asians have the highest median income level, and by a lot? Median Asian income in 2016 was $81,431 while that number for whites was $65,041. Did the system forget to be racist in the case of Asians? Or is it more that, while racism exists, it’s not a “fundamental” part of the country’s structure or rampant? There is no political advantage in celebrating how far we’ve come as a nation on the issue of race, but there is in lying to people that there is a systemic boogieman that can only be held at bay by liberal politicians. It’s worked since the 1960s and Democrats are counting on it to help them come November.